Ceramic File Set - Spyderco, Inc. Page 88 – Spyderco, Inc.
Spyderco’s ceramic files are specifically designed for sharpening small, detailed tools like woodcarving tools, gouges, and dental devices. They are also used by gunsmiths for trigger jobs, deburring, and detail finishing. 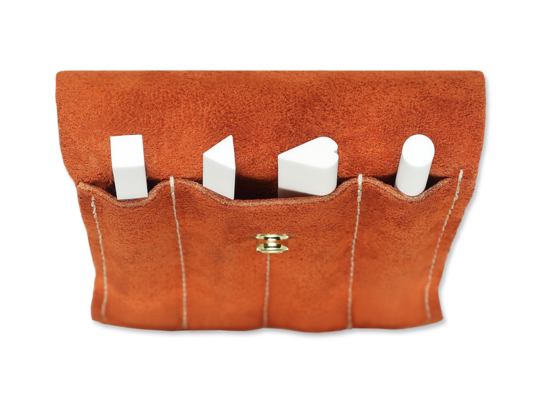 This set includes round, square, triangle, and slip (teardrop) shapes and comes in a handy suede snap-close pouch. Our ceramic files are easily cleaned with household cleanser, a scouring pad, and water.